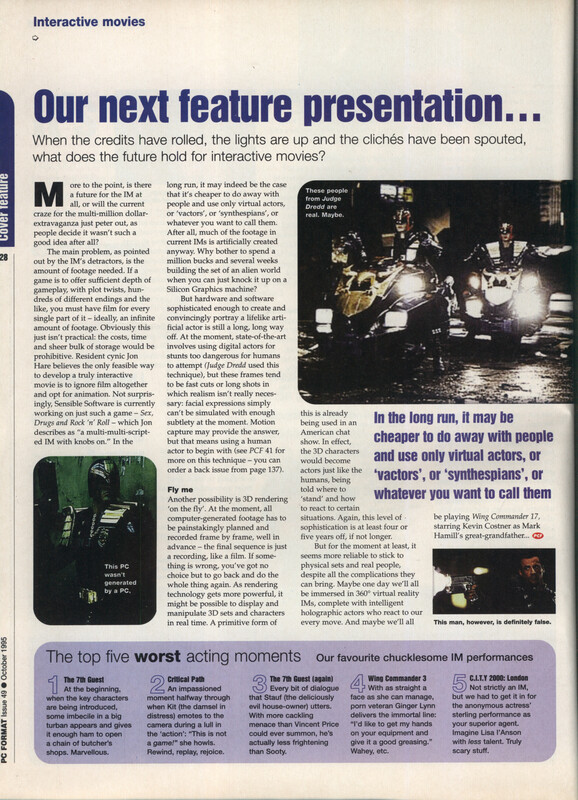 This is a preview of Privateer 2 (dressed up as an article about the future of interactive movies) taken from the October 1995 PC Format. 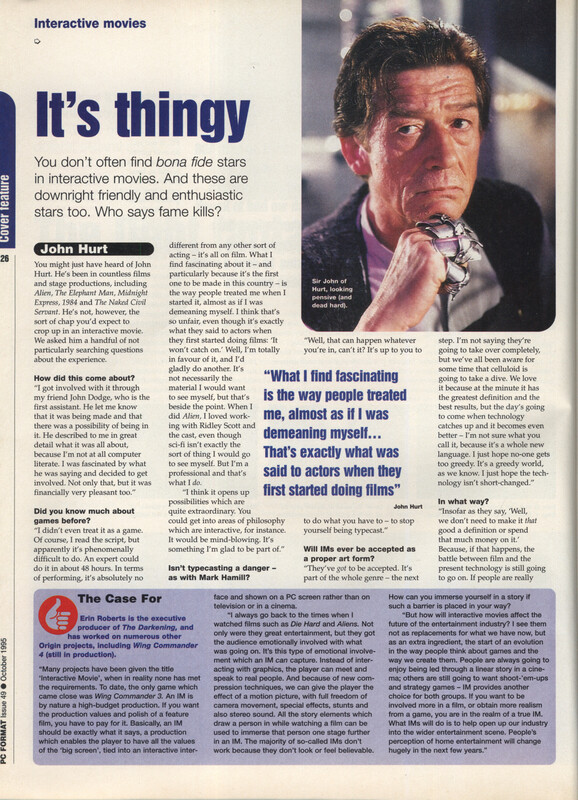 There are a handful of behind-the-scenes photos from the shoot as well as interviews with Steve Hilliker, Erin Roberts, John Hurt and Brian Blessed. 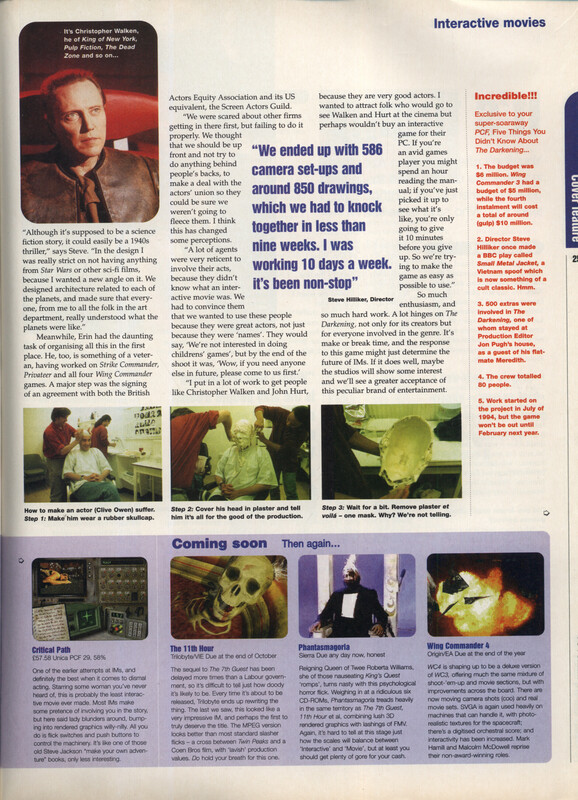 It’s full of predictions about the future of IM, including a particularly out-there suggestion from Brian Blessed about recording a dialog of words into a machine and having your performance created from them. 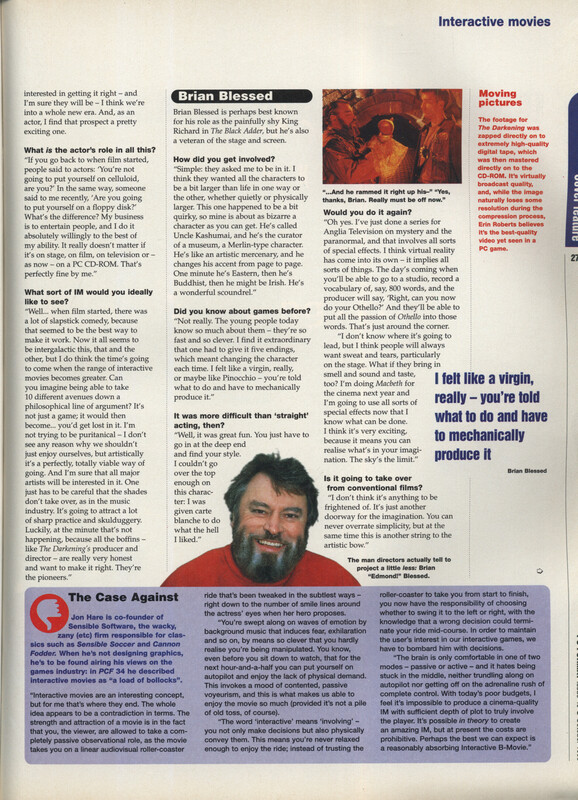 Now I come to think of it, the way Brian Blessed acts that might actually work. I wonder if Brian Blessed’s prediction is even that far from reality. 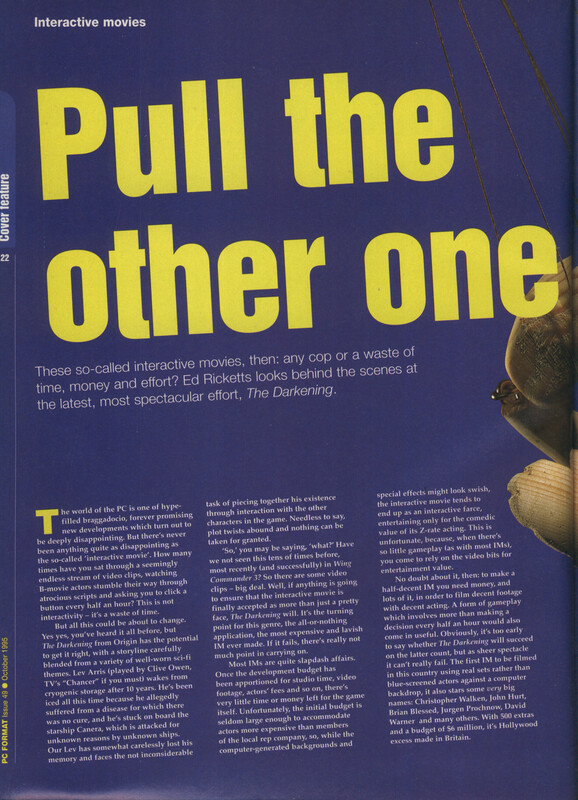 Today he’d record voiceover lines and they’d create a CGI Brian Blessed for the physical aspect of the acting… it’s not THAT far from what hs’e thinking about! 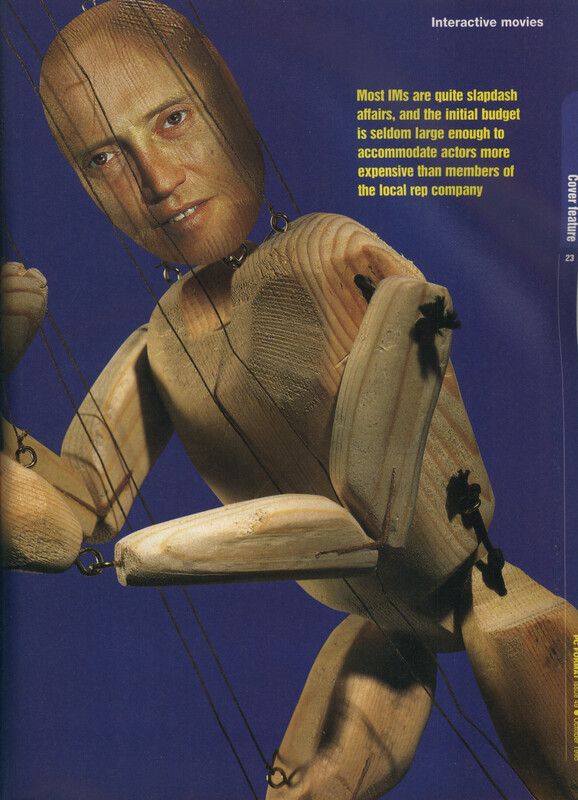 It sounded to me like he was talking about creating a soundboard with his 800 words and a performance being manufactured from that. I’d have thought if you could do that you wouldn’t need him to record the words in the first place. I really like the idea of a Brian Blessed soundboard though.